Sharpspring Marketing Automation for Less. Fast Implementation. What if you could predict . . .
. . . who is ready to buy? Hot Leads will tell you- by their behavior! 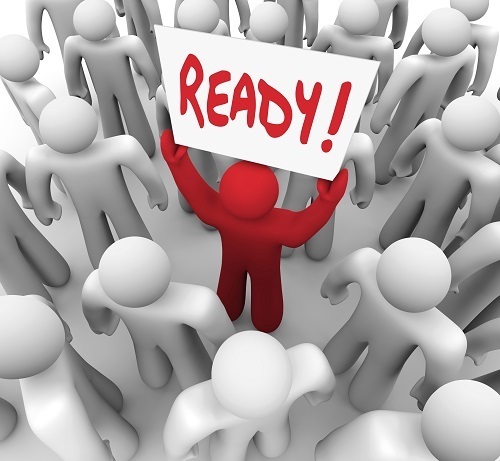 SELL MORE by knowing who is ready. Automated Behavior Recognition will tell you who. Your sales staff can focus on closing these leads. Chances are, over 90% of the leads in your database are not yet ready to buy. Maybe they are waiting for money or some event. Or need more education and convincing. Let Marketing Automation nurture your leads and keep your company in their minds. Don’t let another hot lead slip away do to neglect! All activities that generate leads- email campaigns, retargeting ads, social media posts and ads, trades shows- all are assigned a campaign. Every sale can be traced back to the lead source. Double down on what works, kill what doesn’t. Base1st is a full service Shaprspring Agency Partner. The Sharpspring platform is a complete Marketing Automation package. Sharpspring consistently gets better reviews than Hubspot, Pardot, Marketo, and Infusionsoft- for a fraction of the cost! Base1st has the best Sharpspring pricing anywhere. Month-to-month, no contracts. Unlimited users, no ratcheting up the price for additional users. All features included with no upcharges. Click the Get Pricing button below to see our pricing, and the pricing of our competitors. 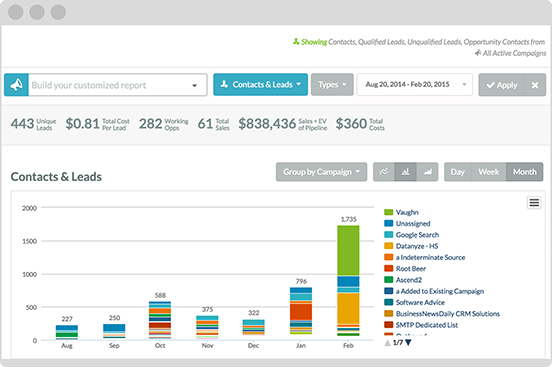 The Sharpspring Marketing Automation Software tracks all of your lead’s interactions and logs them to the lead’s history. Web page visits, email opens, social post interactions- all are used to generate a Lead Score. All scores are customizable. Forms and important pages can carry a higher score. 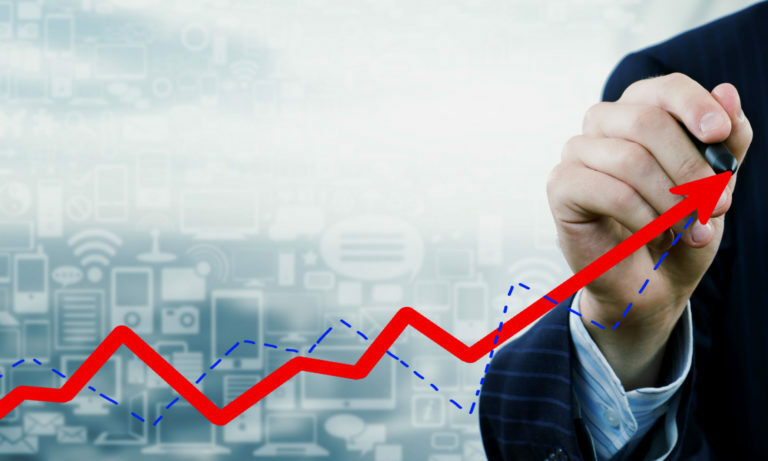 Out of thousands of leads, you instantly see who is hot, and who still needs nurturing. Lead scores can send email or SMS notifications to the assigned salesperson. Track downloads too! Did they open that proposal? Did they share it? 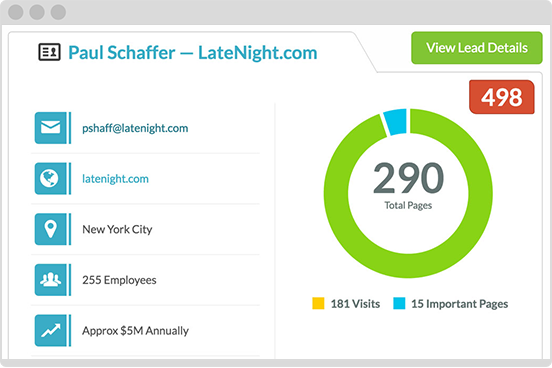 Also track new web visits. See what companies are visiting your site and download new contacts with a free link to our new lead database. Connect with and delight leads at the right stages in the buying process. 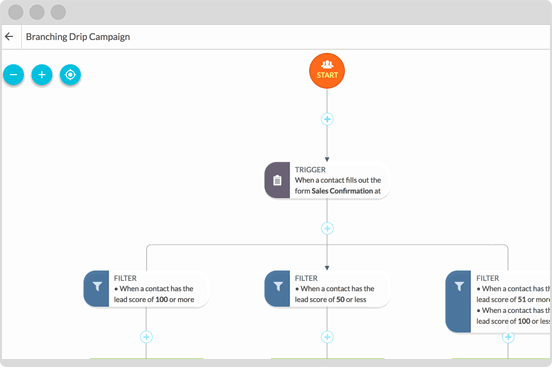 Our robust & simple-to-use visual workflow builder makes marketing automation easy. Use branch-logic to engage leads at those critical points in their unique buyer’s journey. Configurable buyer personas make tailored messaging easy. Get a list of the day’s hottest leads sent to each of your salesperson’s inboxes so they can contact them at just the right moment to convert them to sales! Powerful CRM and sales pipline built right in. Already have a CRM? Sharpspring integrates with Salesforces and most other CRMs. Fully customizable sales stages and supports multiple sales funnels. Sharpspring presents the hot leads along with ongoing opportunities so your sales staff can easily see who they can add to the funnel next. Clear the static. Know your ROI for all campaigns. Reports and dashboards give you the view you need to make key decisions. Email performance reports, A/B testing, Google AdWords integration, lead behavior tracking, Sales & funnel performance tracking, Track and report contact form performance, & much more. Check out the competition. Go to the Hubspot pricing page. Check out the Pardot Pricing page and the Marketo pricing page. Even check out Sharspring’s pricing at Sharpspring.com. But before you go, you’ll want to check out Base1st’s pricing. We have a much better price than Sharpspring themselves. For Marketing Automation Software, Sharpspring is the best choice. And when choosing an Agency Partner, Base1st is the best choice. Click the button below to get current prices, Marketing Automation comparison pdf, Email Provider (Mailchimp, Constant Contact, etc.) vs. Marketing Automation pdf, CRM vs. Marketing Automation. Seamless from campaign to close!